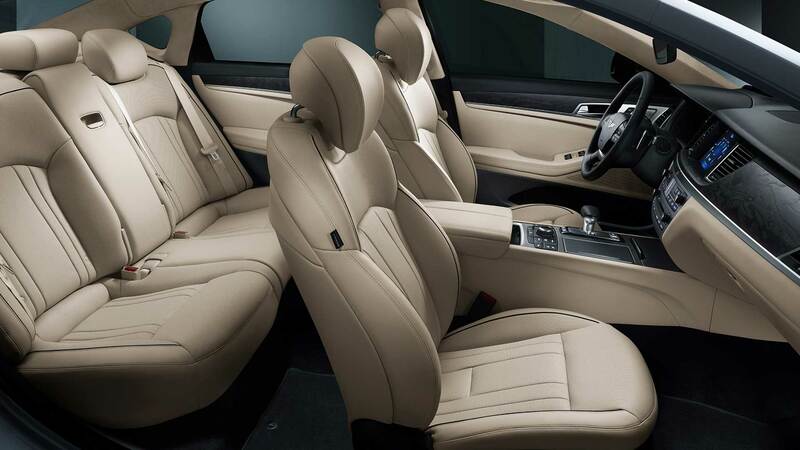 Are you thinking about purchasing a luxury sedan? 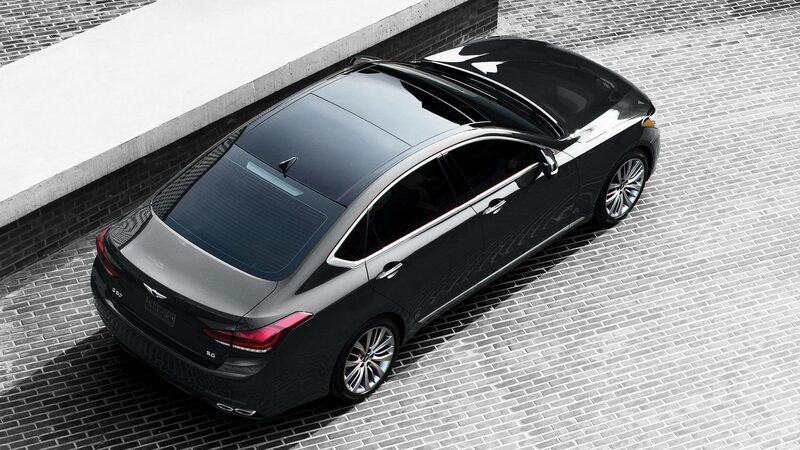 Take a look at the 2018 Genesis G80! 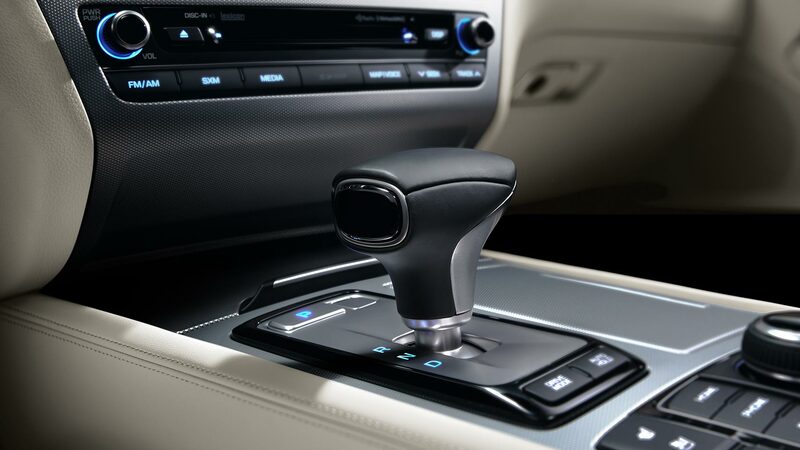 This sedan comes loaded with fantastic features from tech, comfort and even safety. The style from the exterior to the interior is beautiful! The G80 Sport model is all new for the 2018 model year as well as a new analog fuel gauge, and new standard safety features! 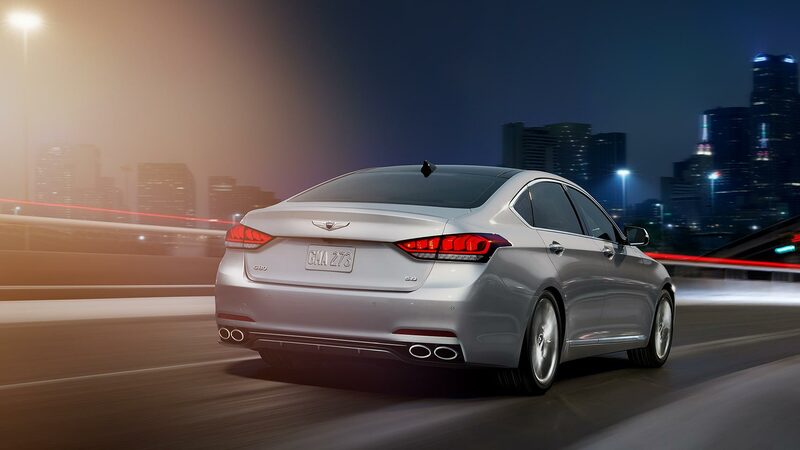 The 2018 G80 is offered in three trim levels the base 3.8 model, the 3.3T Sport, and the top of the line 5.0. The base 3.8 model comes loaded with standard features like a hands-free auto-opening trunk, keyless entry and ignition, automatic dual-zone climate control, traffic adapting cruise control, heated auto-dimming side mirrors, a rearview camera, LED daytime running lights, xenon headlights with auto high beams, and 18-inch alloy wheels! 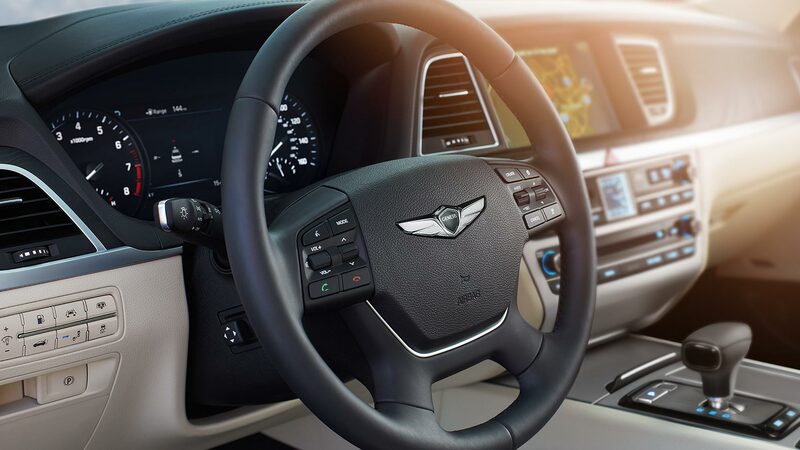 Other standard features include satellite radio, a CD player, a 7-speaker sound system, two USB ports, Genesis Connected Services telematics system, Apple CarPlay and Android Auto, an 8-inch central touchscreen interface, an auto-dimming rearview mirror, driver seat memory settings, power adjustable steering wheel, and leather upholstery! There are two available packages for the 3.8 model. The Premium package adds driver assistance and tech features like front and rear parking sensors and a wireless device charging pad! 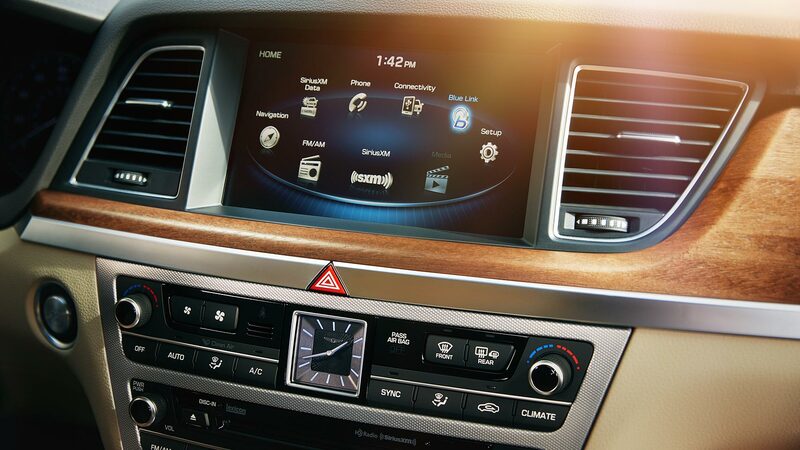 The Ultimate package adds the entire Premium package as well as features like s 9.2-inch touchscreen, a heads-up display and so much more! The 3.3T Sport gets the Ultimate package as standard as well as an adaptive suspension, dark chrome exterior trim, carbon-fiber interior trim, sport front seats and 19-inch wheels. The top of the line 5.0 model is very similar to the 3.3T Sport model when it comes to style and features, however, its powered by a 5.0-liter V8 engine. Are there any optional engines offered for the 2018 G80? 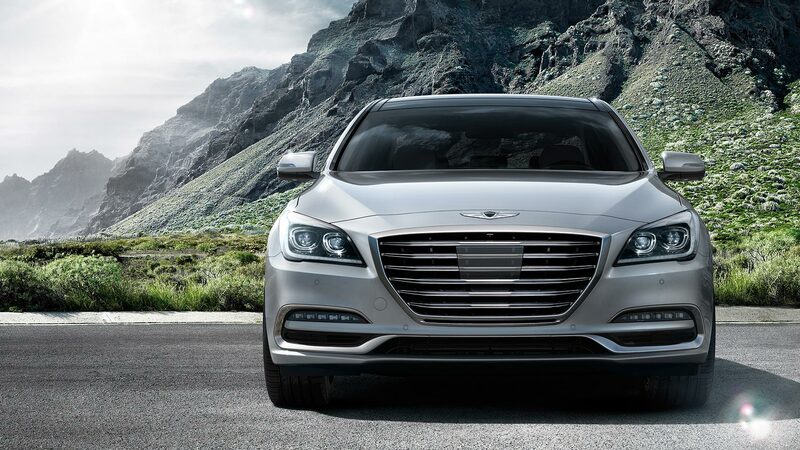 Genesis offers three engine choices for the 2018 G80 models. The standard choice is a 3.8-liter V6 engine that delivers 311 horsepower and 293 pound-feet of torque. This engine can get 27 mpg on the highway with RWD and 25 mpg with available AWD according to the EPA. The Sport model gets a 3.3-liter twin-turbocharged V6 engine that produces 265 horsepower and 376 pound-feet of torque. The EPA has estimated that this engine can get 25 mpg on the highway with RWD and 24 mpg with available AWD. The top of the line 5.0 model is powered by a 5.0-liter V8 engine that generates 420 horsepower and 383 pound-feet of torque! With this engine, you can get 24 mpg on the highway with RWD and 23 mpg with AWD. All three of these engines are paired with an 8-speed automatic transmission. What kind of safety features are standard for the 2018 models? 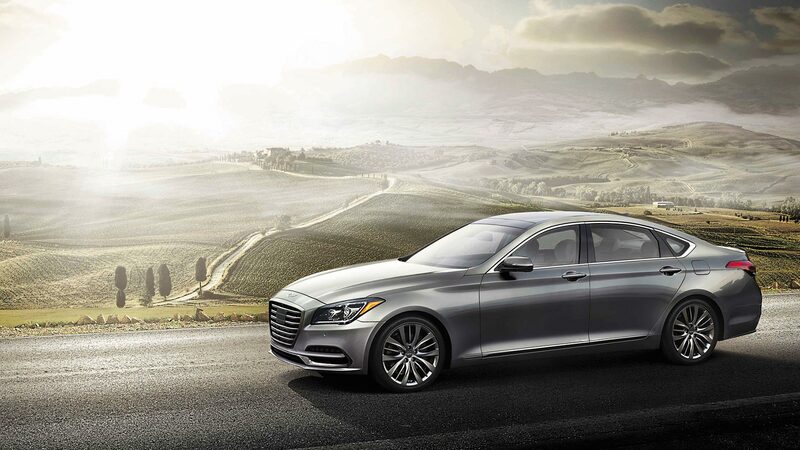 The 2018 Genesis G80 comes loaded with safety features to protect all passengers inside the sedan. Standard safety features for all models include vehicle stability management, electronic stability control with traction control system, ABS, blind spot detection with rear cross traffic alert, lane departure warning, and automatic emergency braking with pedestrian detection. As well an energy absorbing steering column, hood buckling creases and safety stops, body side reinforcements, front and rear crumple zones, nine airbags, a tire pressure monitoring system, and a rearview camera with dynamic parking guidelines! 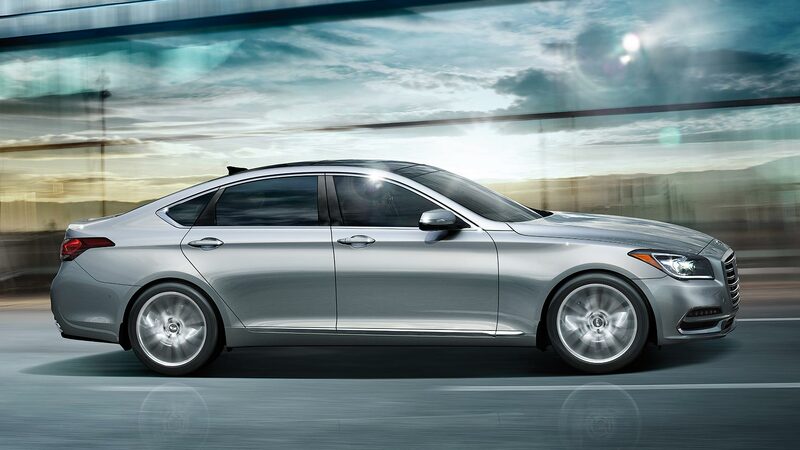 The 2018 Genesis G80 is the perfect sedan for you if you want all the luxury possible without the big price tag! Come down to Genesis of North Atlanta today to check out the G80 in person and take one out for a test drive!